The Smithsonian has always been kind of mythic for me. Something that I had always wanted to see, but never really thought that I would. Even thought I’ve been getting The Smithsonian Magazine (which I totally recommend) for a few years now, I hadn’t really realized that it wasn’t a museum. 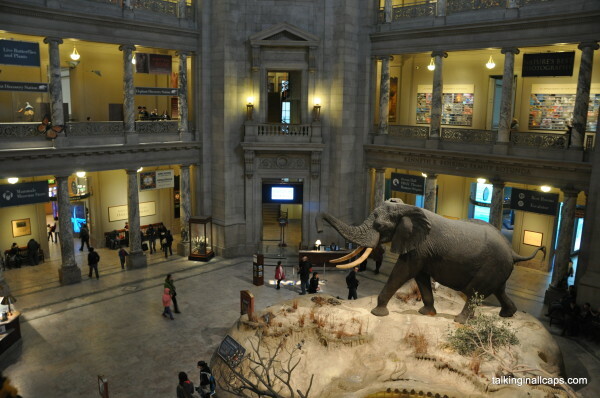 The Smithsonian Institution consists of 19 museums/galleries, 9 research centres AND a zoo in Washington, DC, as well as some additional facilities elsewhere, and has 168 Smithsonian affiliate museums. 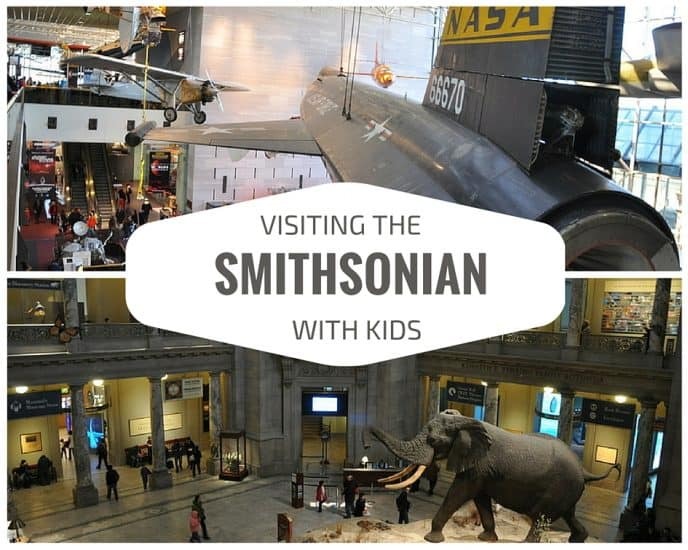 This can make it difficult to plan your trip particularly if you are visiting the Smithsonian with young kids. The Smithsonian was established in 1846, with funds from British Scientist James Smithson, who had never actually been to the United States. He had left his estate to the United Sates to found, “at Washington, under the name of the Smithsonian Institution, an establishment for the increase and diffusion of knowledge.” The Smithsonian Institution is now the largest museum and research complex in the world. 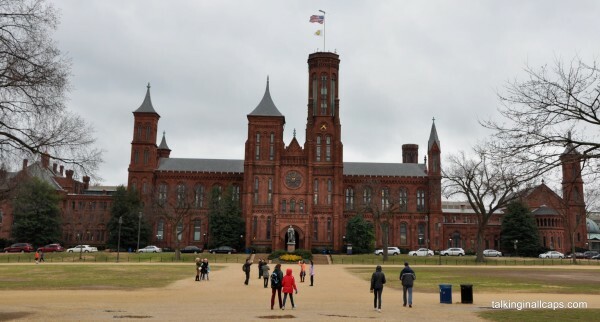 The institution was originally housed in what is now the Smithsonian Castle located along the National Mall. The Castle now contains the Smithsonian Visitor Centre with information about all of the different Smithsonian Museums. It would be a great place to start when you get to Washington. This was the museum that I had always wanted to go to. 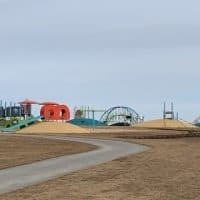 It’s perfect for kids – with exhibits featuring dinosaurs, insects, butterflies, mammals, giant squid, rocks and minerals and much much more, you’d be hard pressed to find a kid who didn’t love something at this museum. 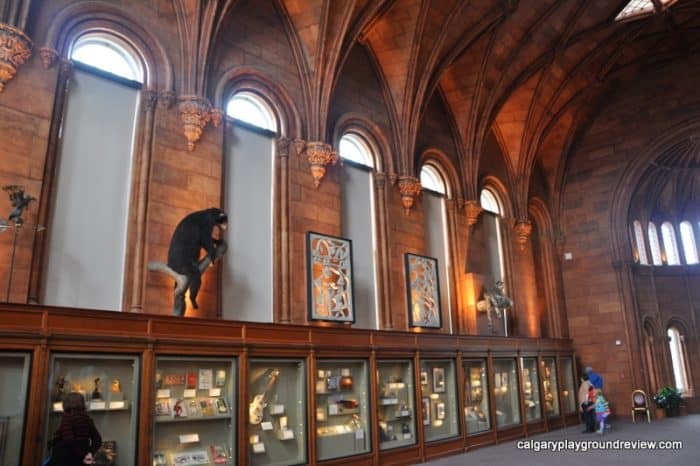 Read more about the Smithsonian Museum of Natural History here! 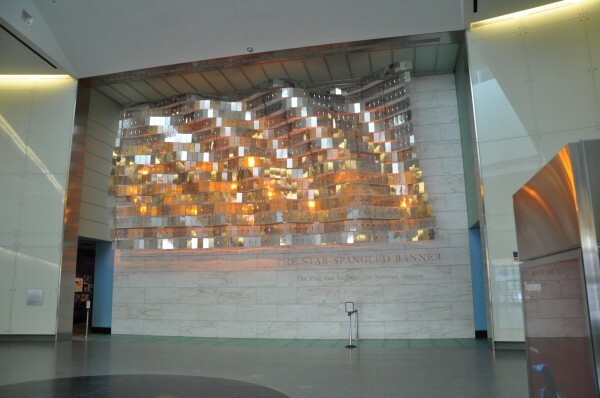 The Air and Space Museums were two of the most impressive places we visited while we were in Washington. The National Air and Space Museum along the National Mall is full aviation history that you aren’t going to find any where else. They have the original Wright Flyer, the Mercury spacecraft in which astronaut John Glenn became the first American to orbit the Earth, a real lunar module (that didn’t go to the moon), the Apollo 11 capsule that brought the first astronauts back from the moon and so much more! The exhibits are well displayed with lots of interactive features and things you can touch. And you can even touch a piece of the moon! The Steven. F. Udvar-Hazy Air and Space Museum is located near the Dulles Airport (one of the three airports that serve Washington, DC – 45 minutes from downtown Washington). It’s definitely worth the trip if you have a big aviation fan in your family or if you are flying in or out of Dulles. The museum is less polished than it’s downtown counterpart but its inventory is stunning. The main attractions are SR-71 Blackbird and the Space Shuttle Discovery. 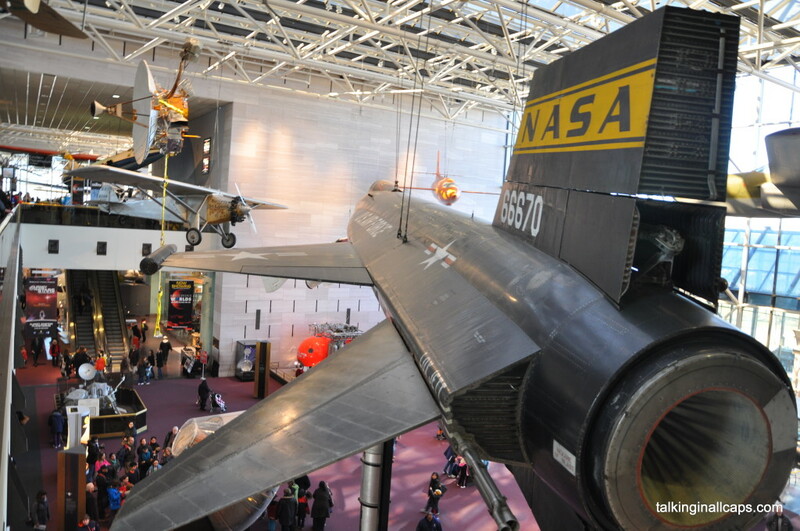 Read more about the Smithsonian Air and Space Museum and Steven F. Udvar-Hazy Air and Space Museum. 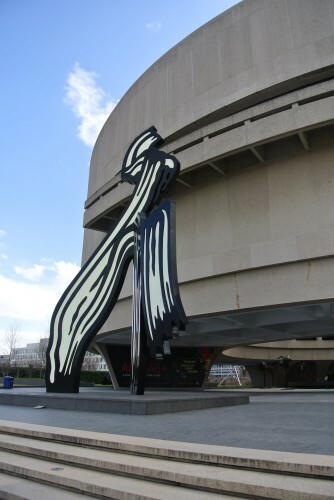 The Hirshhorn is features contemporary art – you may not like the art that is displayed, but it’s hard to accuse it of being boring. 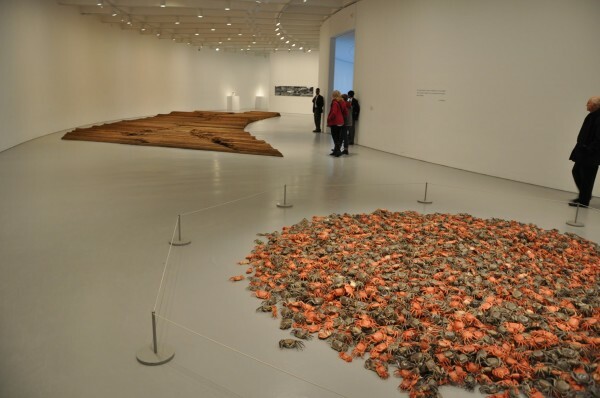 The museum itself is a work of art, it’s shaped like a doughnut and raised off the ground. Outside the Museum is a sunken Sculpture Garden. We didn’t see much of the garden, but I really liked this sculpture. 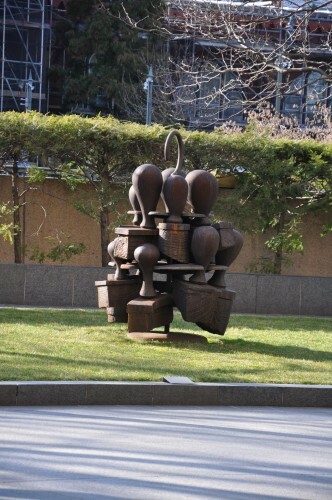 There is something perfect about a rubber stamp sculpture in Washington, DC. The feature exhibit while we were there was ‘Ai Weiwei: According to What?’. Not all of it made a lot of sense to me (and I didn’t have a lot of time to figure it out going through with two little kids) but some of it was really beautiful and other works were really interesting. The exhibit was fun to take Gordie to because the art was made up of so many different kind of materials. He enjoyed figuring out what the art was made of. 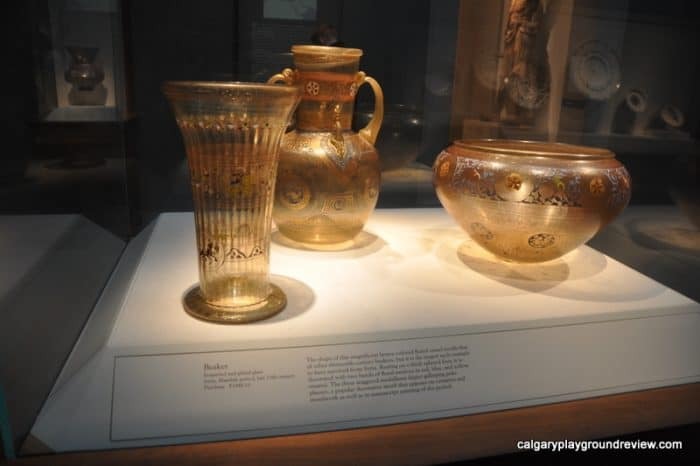 He was a little younger (at 3 years) than I would probably recommend the museum for, especially if your kid may be a little impulsive – there were a lot of things that kids may want to touch that they are not allowed to. Some exhibits may not family-friendly in their content. 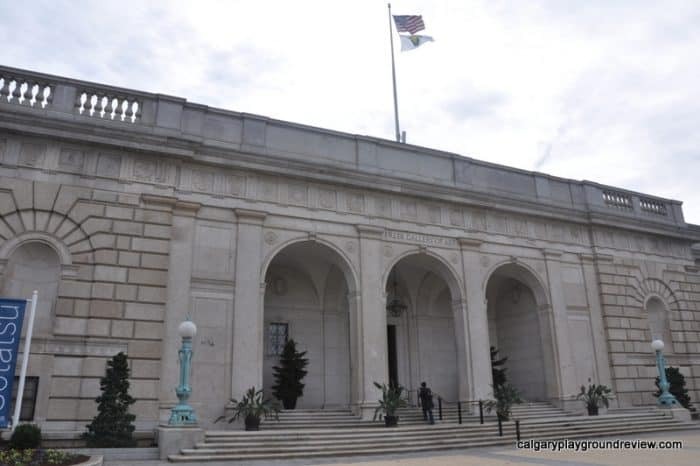 The Freer Gallery of Art and Arthur M. Sackler Galley are connected to each other underground and are both dedicated to Asian art. 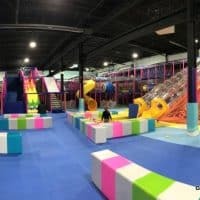 The galleries are fairly traditional aren’t likely to appeal to most younger kids. 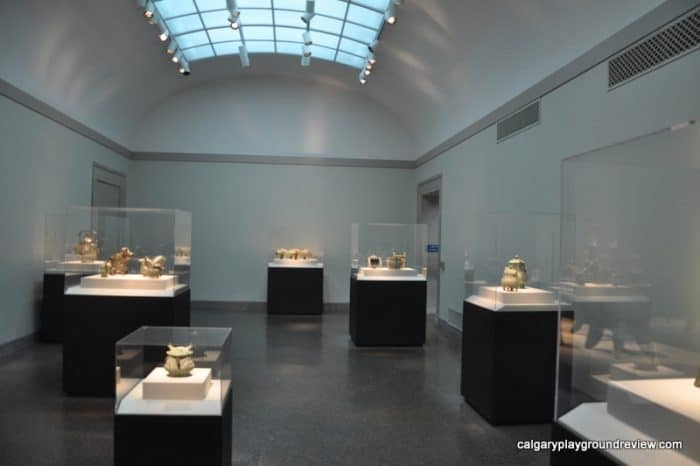 Art lovers, however are sure to be impressed with thes premier art collections including Chinese paintings, Indian sculpture, Islamic painting and metalware, Japanese lacquer and Korean ceramics. 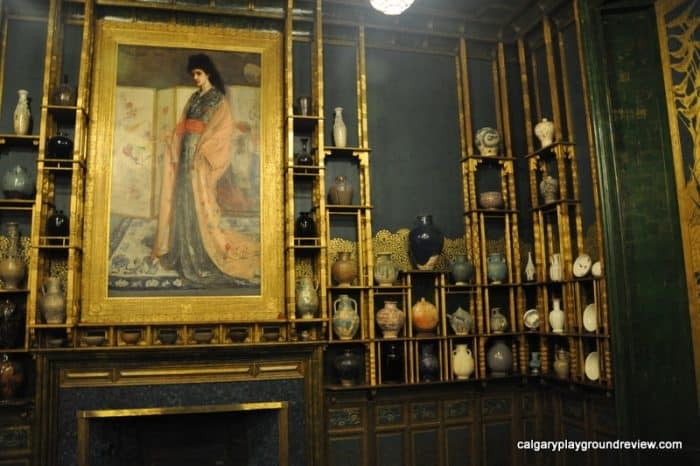 They also boast the world’s most important collection of works by James McNeill Whistler including Whistler’s Peacock Room. As compared to the other Smithsonian museums that we visited, this one felt more set up for school groups than the general public. 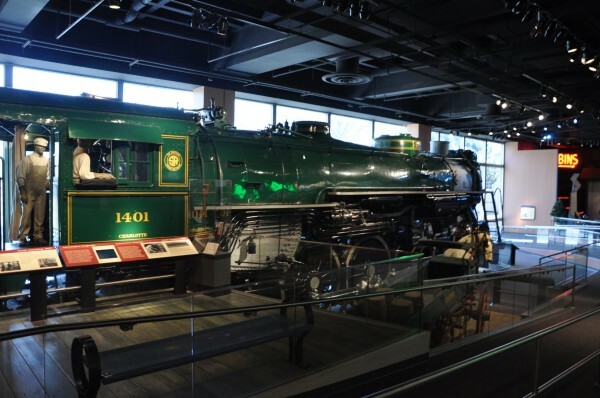 Many of the exhibits, such as the American Stories exhibit, pose questions to try to get you to think about a topic and consider the societal and cultural impacts of what’s being displayed. The most impressive was seeing the Star-Spangled Banner Flag. This is the flag that flew over Fort McHenry in Baltimore Harbor during the Battle of Baltimore in the War of 1812 inspiring Francis Scott Key to write what later became the US national anthem. It’s very fragile and no photos are permitted. 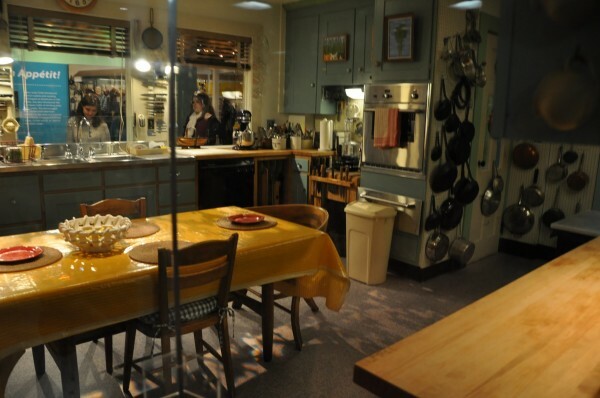 Seeing Julia Child’s kitchen at the FOOD exhibit was also really cool. 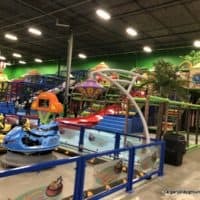 If you are going to the museum with younger kids, the America on the Move exhibit is probably a good pick because there’s lots to look at that would be of interest to them. Gordie and my husband really liked the section on ships. The Smithsonian’s National Zoo is located to the North of the National mall and is accessible via the metro. 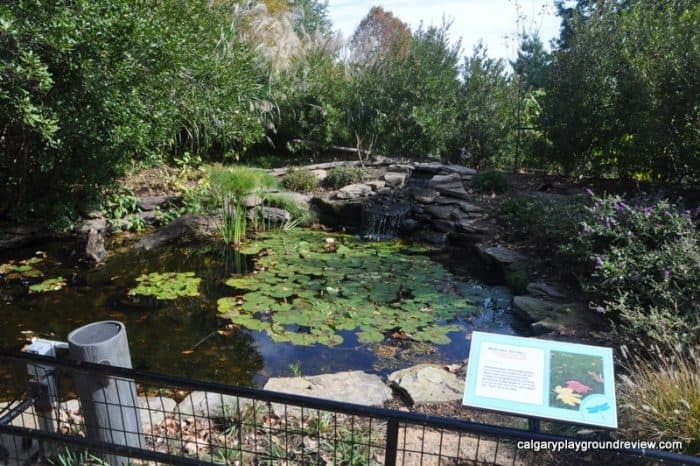 The Zoo is amazing with beautiful animal habitats and features over 300 species including elphants, pandas, tigers and lions. 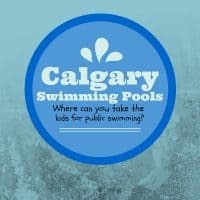 To top it off admission is free! We missed the zoo on our family trip to DC but my husband did a review of it while he was in DC for work. I now hugely regret not seeing it when I had the chance. 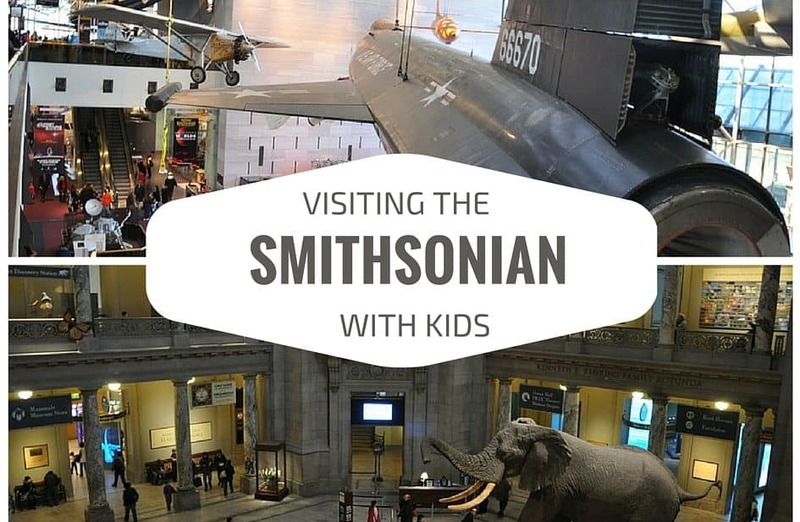 Have you visited the Smithsonian with Young Kids? What did you think?